Super opportunity for investors or first time buyers. 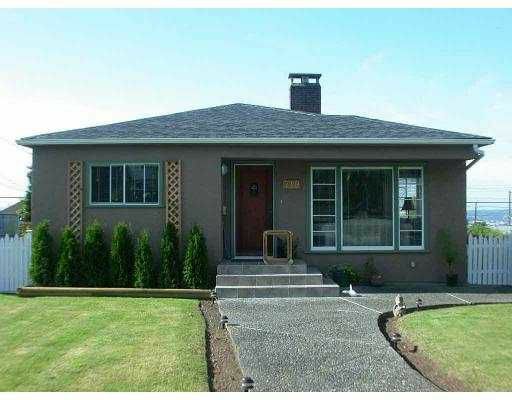 Cute and well maintained Bungalow on a nicely landscaped lot in the developing Lower Lonsdale/Boulevard Area. The 2-Bedroom Main Floor has lots of character with coved ceilings, a woodburning fireplace and partial city views, and currently rents for $1200/month. The newer 2-Bedroom Basement Suite, which is occupied by the owner, is slightly larger than upstairs, has nice floor coverings and a great kitchen, a large master bedroom, and a sunken living room with a gas fireplace and French doors out to a south-facing patio. The whole house has been recently painted inside and out, has a newer roof, and a detached garage/carport off the lane and a safe and fairly private south-facing backyard with a large sundeck and a hot tub.